It seems that many teachers will agree that teaching fractions can be complex and confusing, but that understanding fractions is a necessary skill for students to have as they get older. 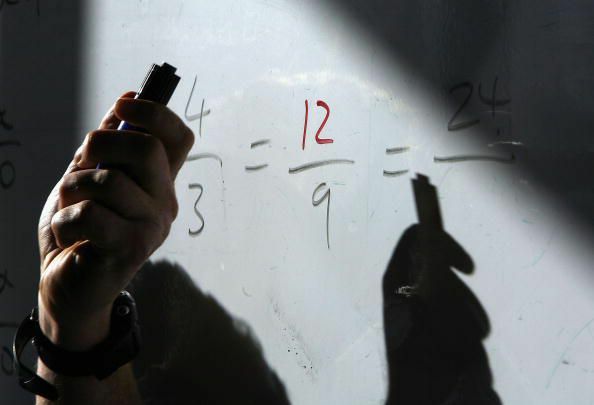 The Atlanta Journal-Constitution addresses how math is being taught in a recent article titled, "Are we forcing too many students to take high-level math they'll never use?" The author, Maureen Downey, notes that as a nation, we keep raising the bar for our students' math performance, and observes that despite these high level courses, many students are struggling with the complex teachings. Some teachers argue that schools may be advancing students too quickly, and they aren't truly mastering basic skills like fractions. While some higher-level math courses are only crucial for certain industries, basic mathematical skills like understanding fractions, are crucial for everyone to master. From cooking and carpentry to sports and sewing, we can't escape fractions in our daily lives. This isn't a new topic of discussion. In fact, in 2013, an article in the Wall Street Journal talked about what parents and teachers already know when it comes to math—fractions are hard for many students to learn. In fact, the article cites statistics that half of eighth graders can’t put three fractions in order of size. As many students struggle to learn fractions, which usually are taught in third or fourth grade, the government is actually funding research into how to help kids learn fractions. Instead of using rote methods to teach fractions or relying on old techniques such as pie charts, the newer methods of teaching fractions use techniques to help kids really understand what fractions mean through number lines or models. For example, the educational company, Brain Pop, offers animated lessons and homework help to aid kids in understanding concepts in math and in other subjects. Their Battleship Numberline allows kids to bomb a battleship using fractions between 0 and 1, and after students play this game, their teachers have found that the students' intuitive knowledge of fractions increases. Other techniques to teach fractions include cutting paper into thirds or sevenths to see which fraction is bigger and what denominators mean. Other approaches include using new terms for words such as “denominator” such as “the name of the fraction,” so students understand why they can’t add or subtract fractions with different denominators. Using number lines helps kids compare different fractions—something that is hard for them to do with traditional pie charts, in which a pie divided into pieces. For example, a pie divided into sixths can look a lot like a pie divided into sevenths. In addition, the newer approaches emphasize understanding how to compare fractions before students go on to learn procedures such as adding, subtracting, dividing, and multiplying fractions. In fact, according to the Wall Street Journal article, placing fractions on a number line in the correct order in third grade is a more important predictor of fourth-grade math performance than calculation skills or even the ability to pay attention. In addition, studies show that a student’s ability to understand fractions in fifth grade is also a predictor of long-term math achievement in high school, even after controlling for IQ, reading ability, and other variables. In fact, some experts regard the understanding of fractions as the door to later math learning, and as the foundation of more advanced math and science classes such as algebra, geometry, statistics, chemistry, and physics. Math concepts such as fractions that students do not master in the early grades can go on to confuse them later on and to cause them a great deal of math anxiety. The new research shows that students need to intuitively understand concepts rather than just to memorize language or symbols, as such rote memorization does not lead to long-term understanding. Many math teachers do not realize that the language of math can be confusing to students and that students must understand the concepts behind the language. Students who attend public schools now must learn to divide and multiply fractions by fifth grade, according to federal guidelines known as the Common Core Standards that are followed in most states. Studies have shown that public schools outperform private schools in math, partly because public school math teachers are more likely to know and follow the latest research related to teaching math. Even though most private school students do not need to demonstrate mastery of Common Core Standards, private school math teachers can also use new techniques to teach students fractions, thereby opening the door to later math learning.